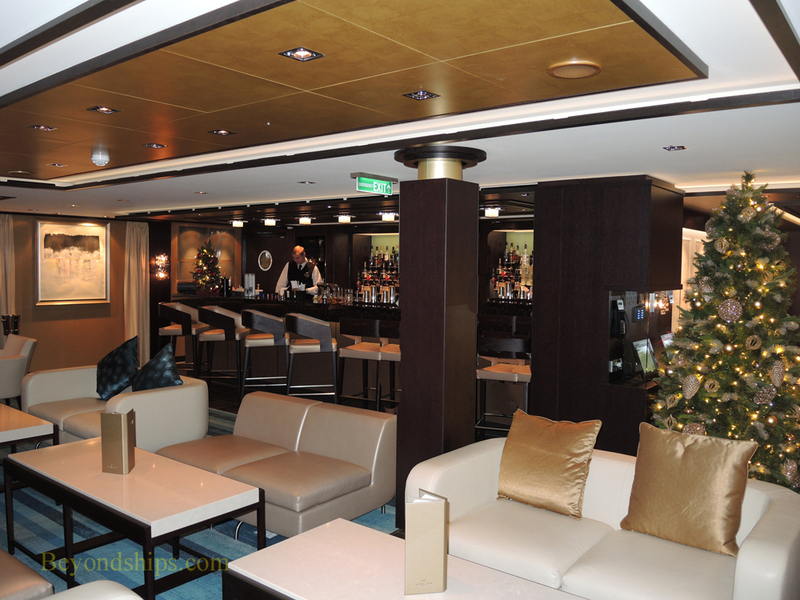 Above: The Bar at the Atrium on Deck 6. 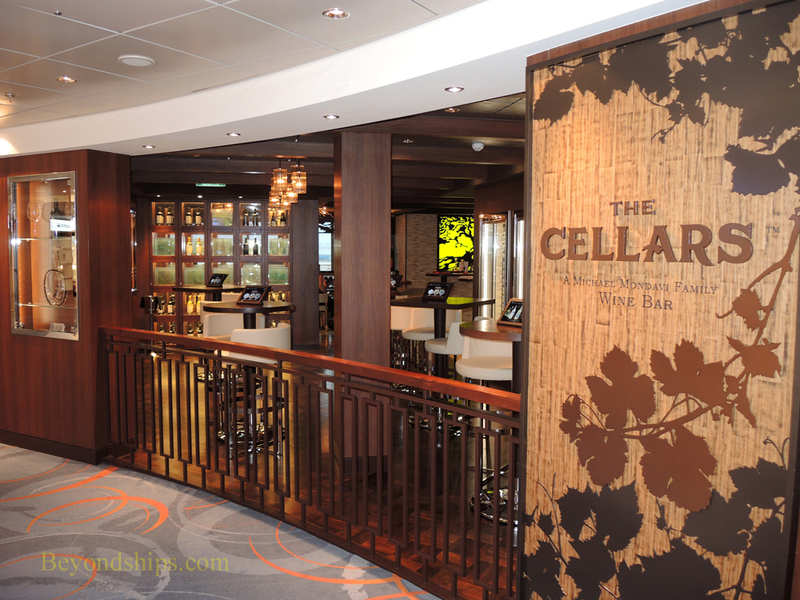 A new venue on Deck 8 is The Cellars. 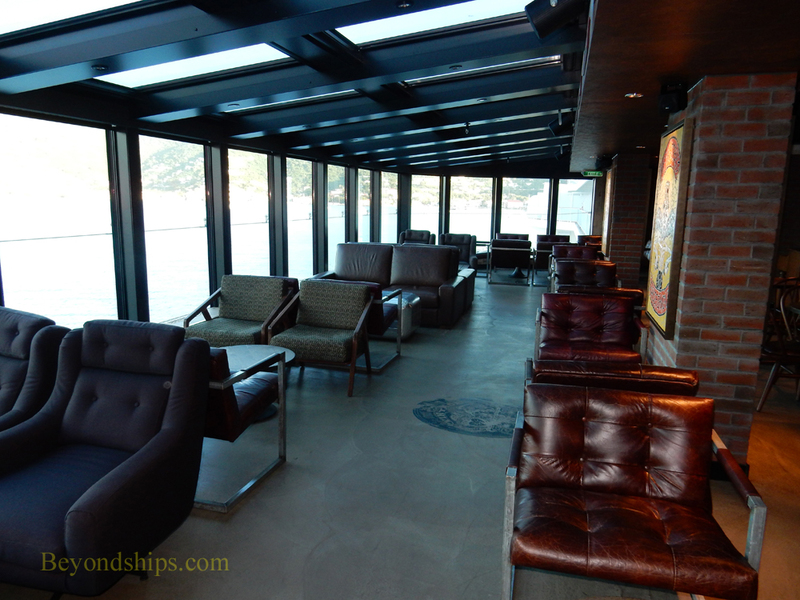 This is Norwegian's first wine bar and includes an indoor tasting room as well as an outdoor bar on the Waterfront. 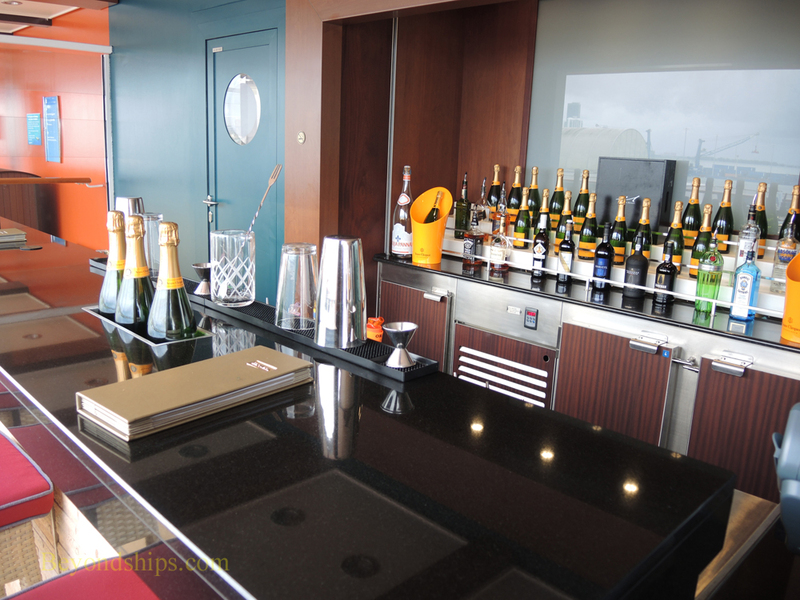 In addition to offering glasses of wine, this venue features wine seminars, wine tastings and wine and food pairings. The concept was developed in conjunction with the well-known Mondavi wine producers. For those who prefer beer, Escape has the District Brew House. 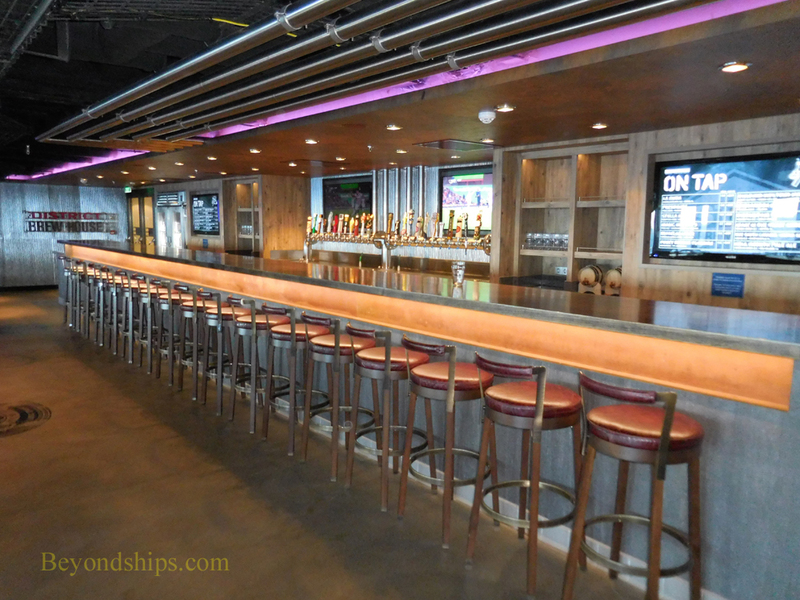 Developed in cooperation with the Wynwood Brewing Company, this bar is an upmarket venue with 24 draft beers on tap and 50 bottled beers. Large LED screens show sporting events. 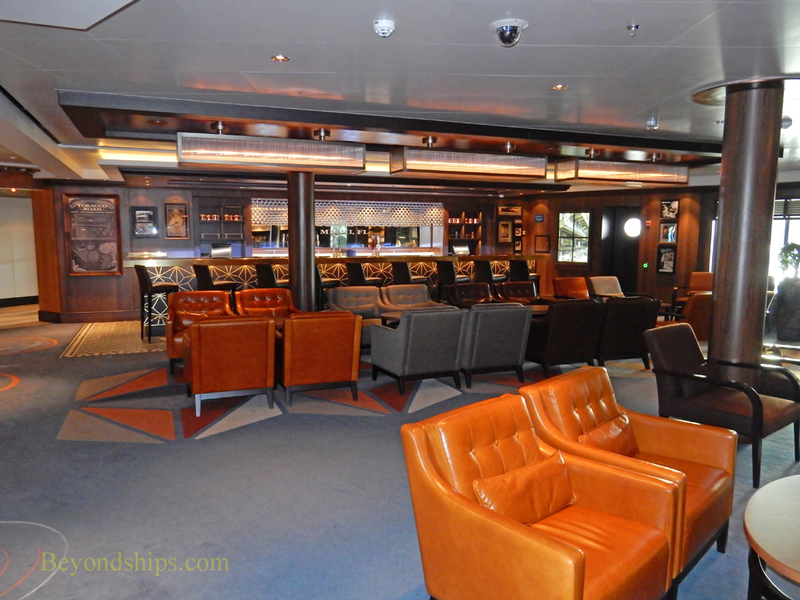 On the starboard side of Deck 8 is a sea-going version of Miami's Tobacco Road (right). It is decorated with photos and memorabilia from the legendary bar. Nearby in a separate room is the Humidor Cigar Lounge (not shown), where smoking is permitted. 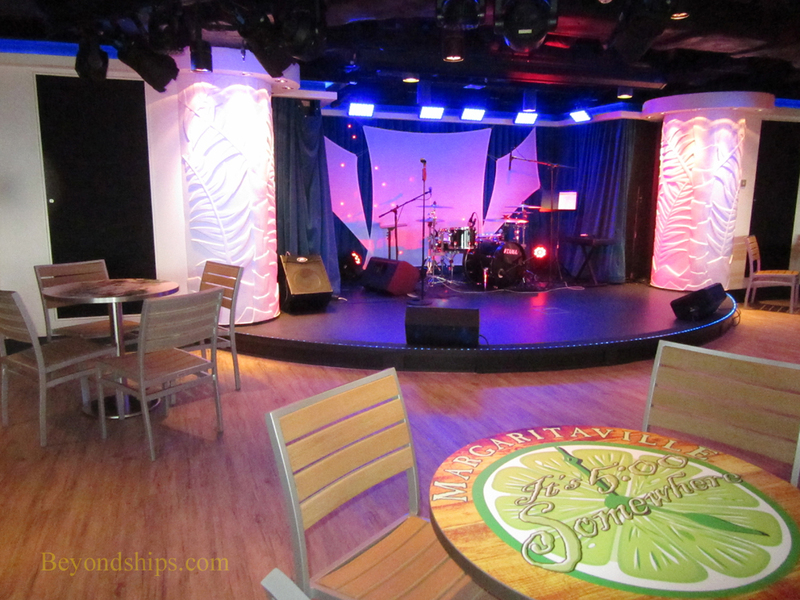 Another new venue on Deck 8 is Jimmy Buffet's 5 O'Clock Somewhere Bar. It seeks to present the island atmosphere made famous by the popular singer. This bar also has an outdoor area on the Waterfront. The 5 O'Clock Somewhere Bar is used for karaoke and for live music. 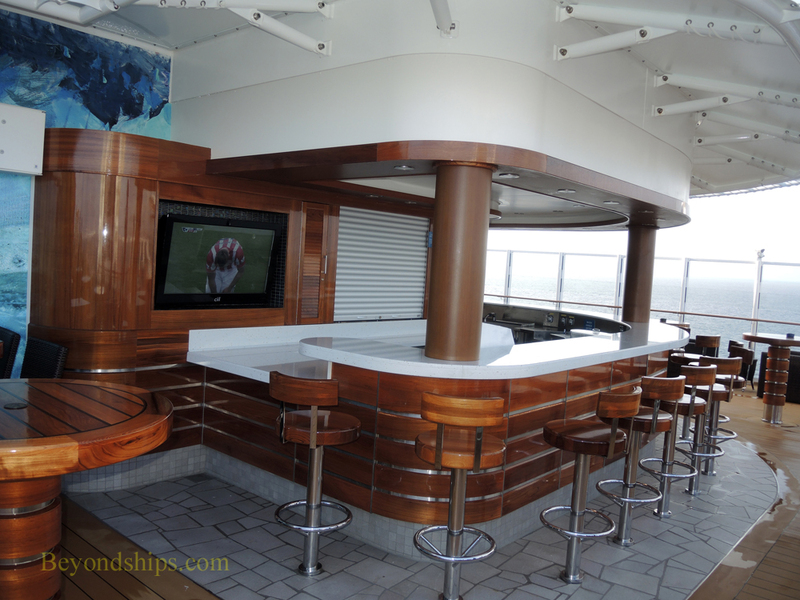 The Sugarcane Mojito Bar debuted as a hit on Norwegian Getaway. On Escape, it has been moved next to the Latin-themed specialty venues Bayamo and Pincho Tapas. 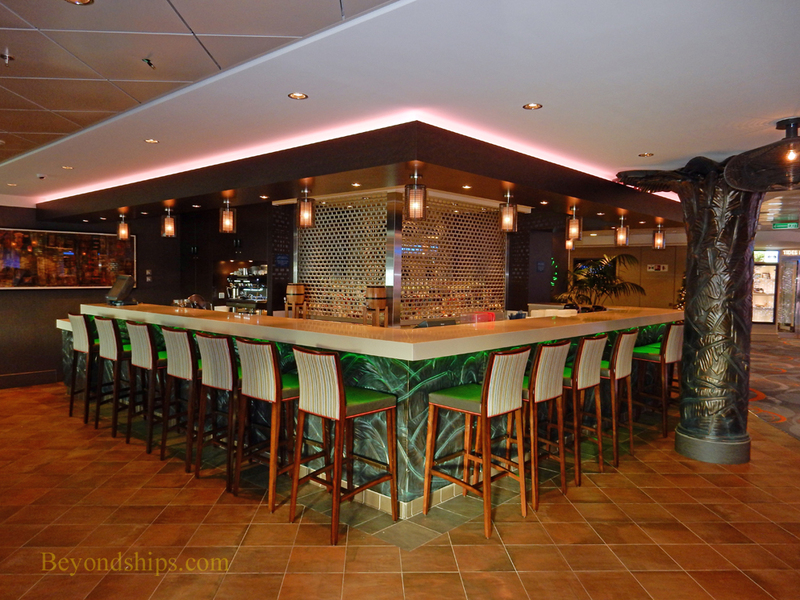 As the name indicates, this bar specializes in mojitos and other rum-based drinks. 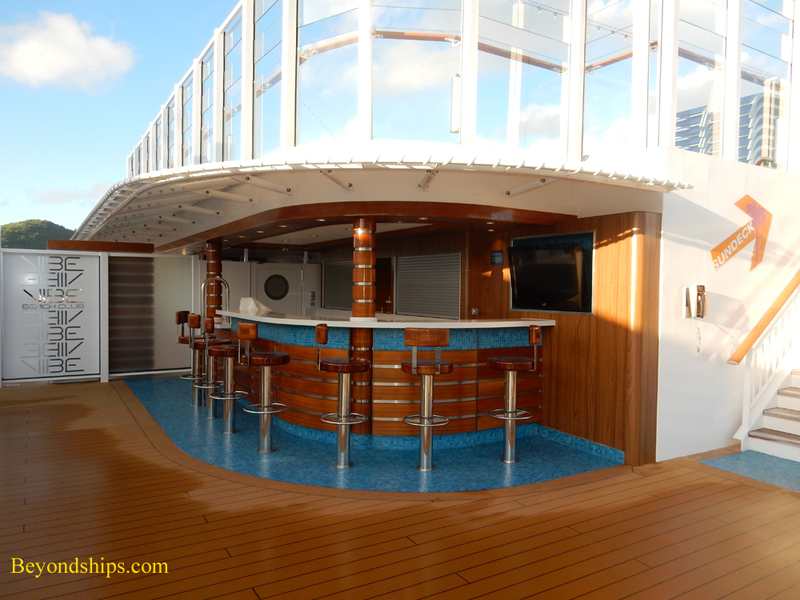 ​Aft on Deck 8 is the Prime Meridian Bar. 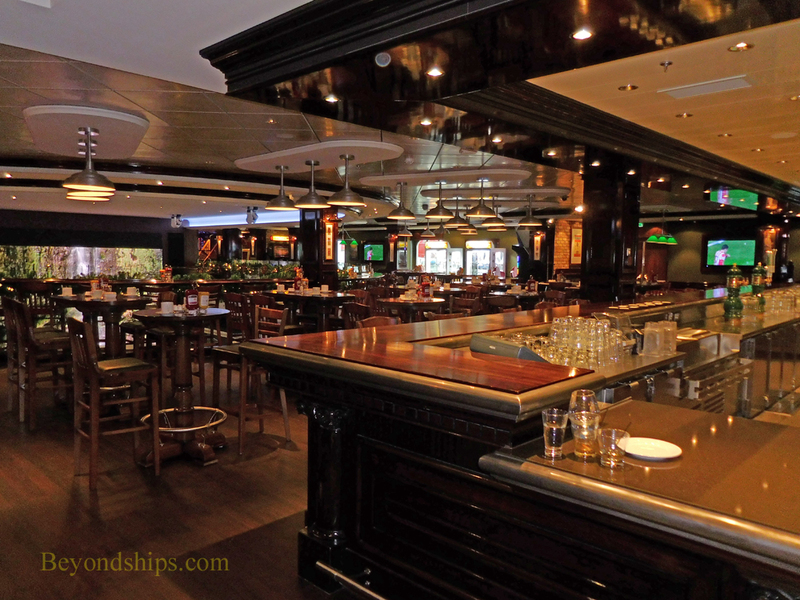 It sits between the Moderno and Cagney's specialty restaurants and is thus convenient for guests dining in those venues. 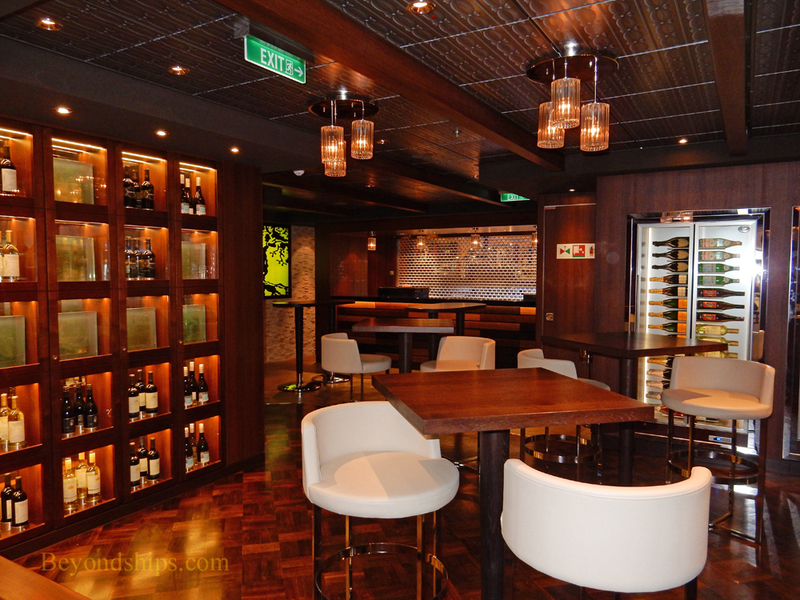 Like the tweo specialty restaurants, this bar has a sophisticated atmosphere. 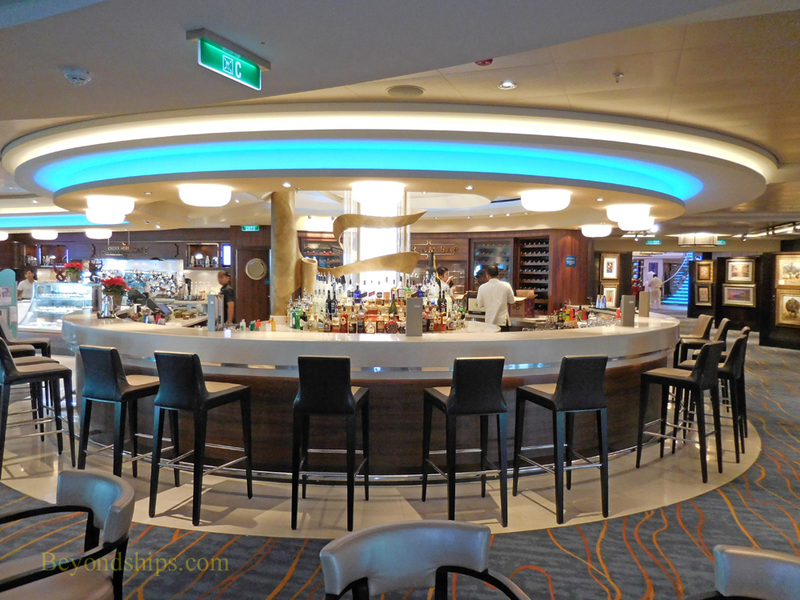 Above: The Skyline Bar on Deck 7 is a venue premiering on Escape. 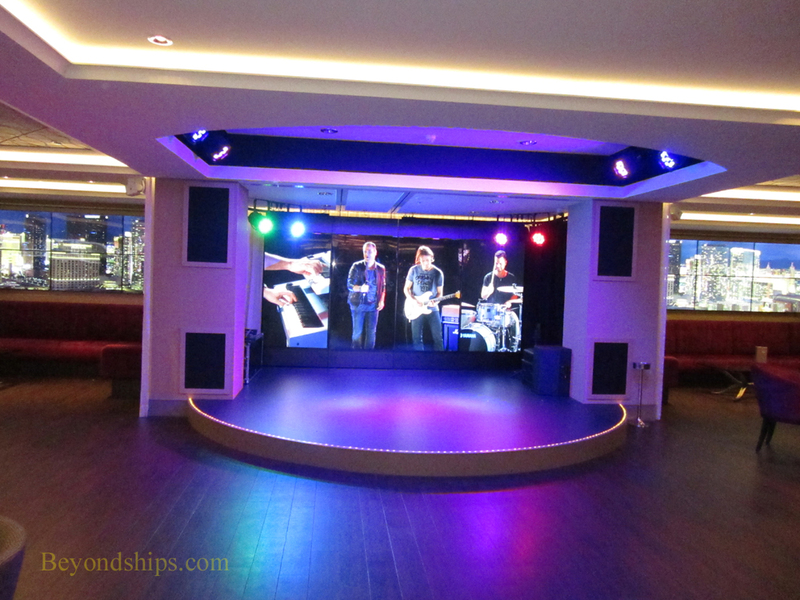 Large LED screens not only provide decoration but can become part of the show, supporting live performers on the Skyline bandstand. The room is open and flows out into the casino thus incorporating its vibe as well. 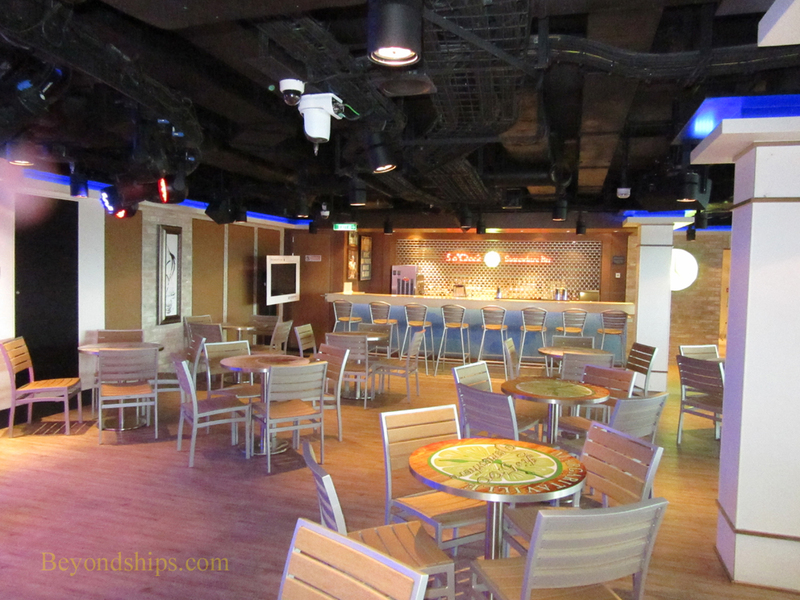 Below: Further forward on Deck 7, O'Sheehan's Neighborhood Bar and Grill is both a bar and a casual eating venue. 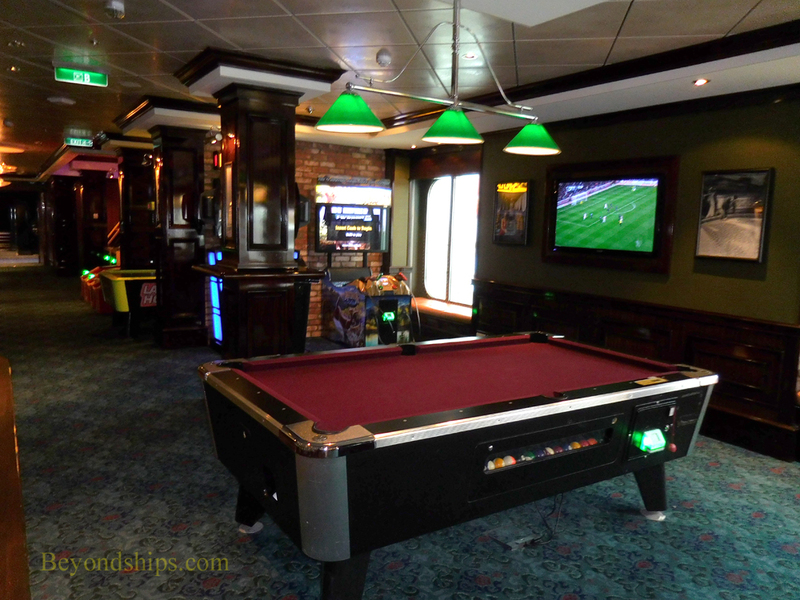 It also contains various amusements such as pool tables and bowling alleys. 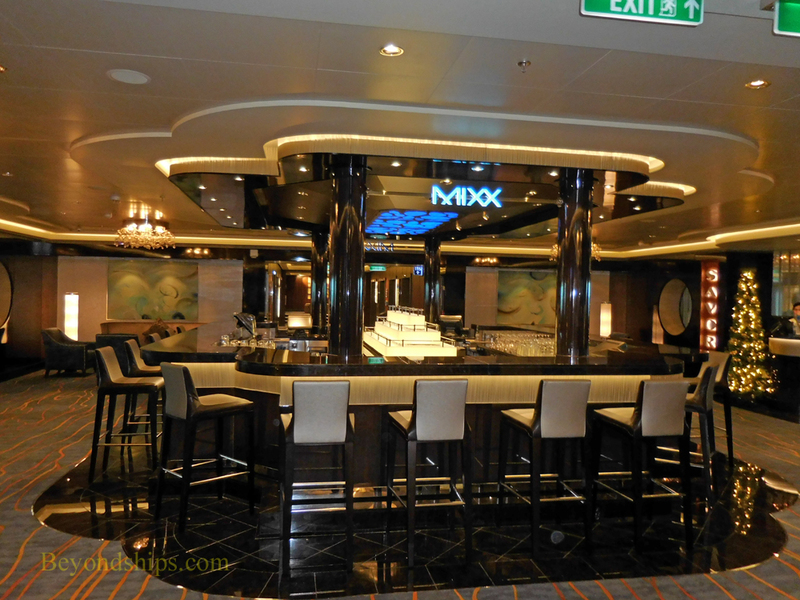 Sitting between the Taste and Savor dining rooms on Deck 6 is the Mixx Bar. 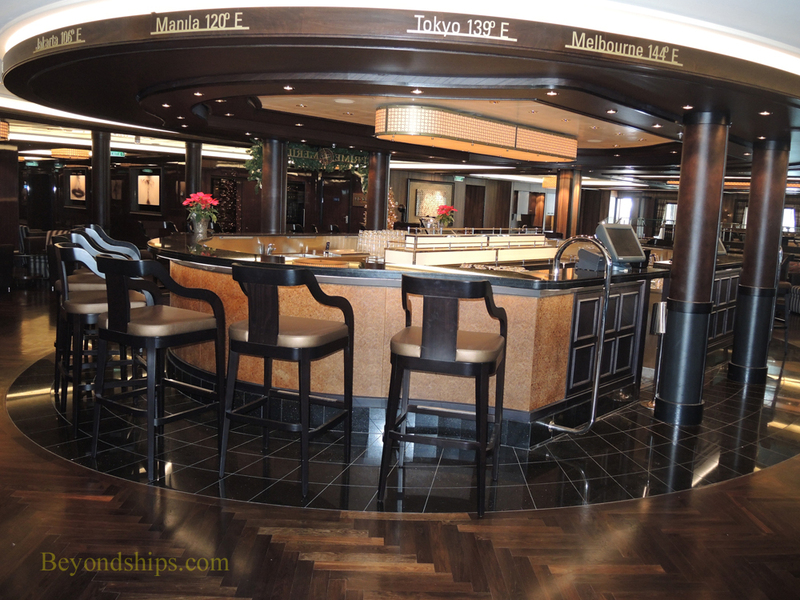 It is thus convenient for before or after dinner drinks. 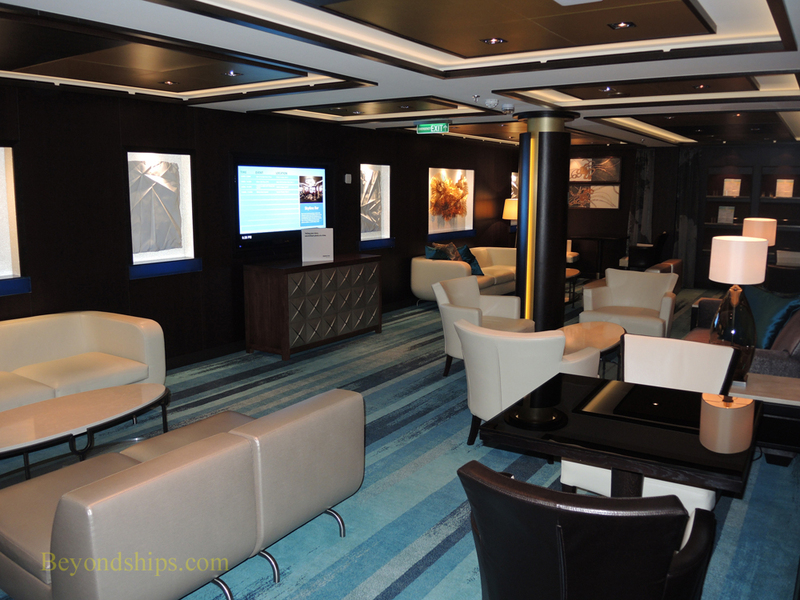 Guests staying in the Haven section of the ship have access to The Haven Lounge. 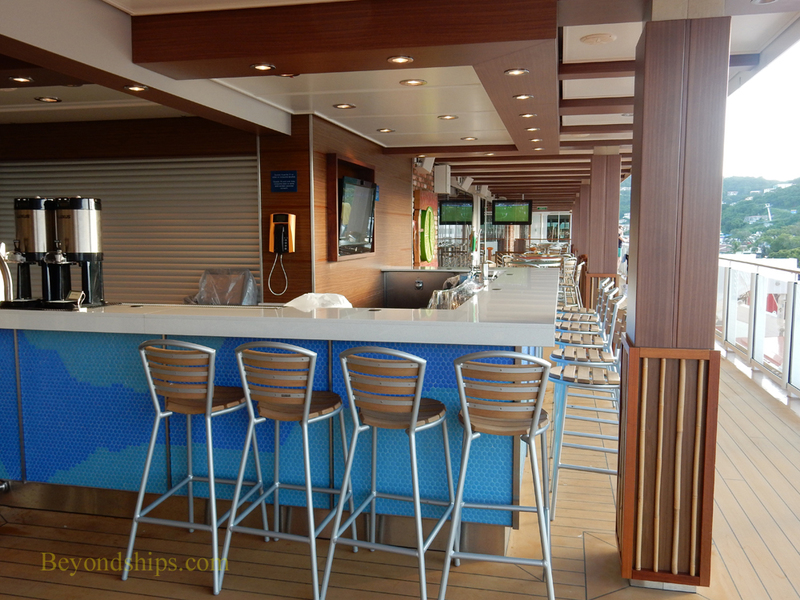 Bars serving the open decks include the double-decker Waves Bar by the main pool (right); the Spice H2O Bar (below) and a bar serving the Sun Deck on Deck 19 (below right). 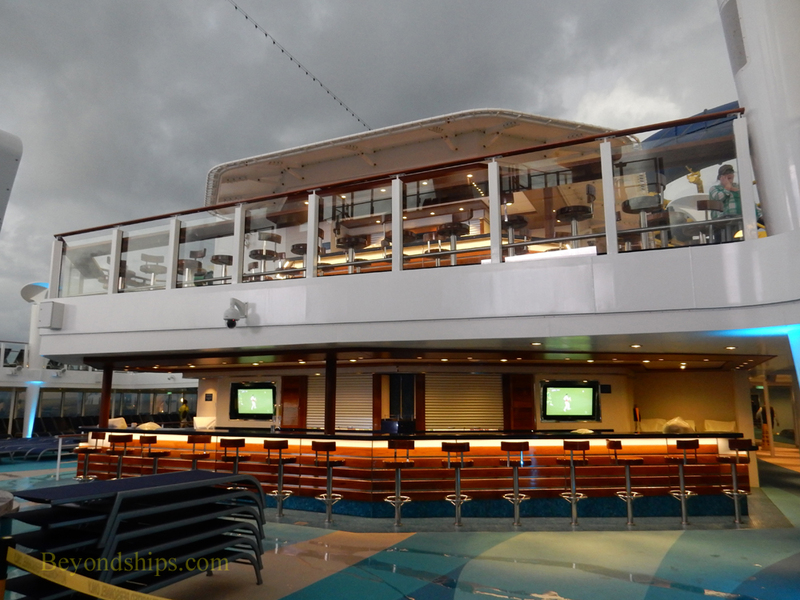 Cruise ship photo tour and commentary - - Norwegian Cruise Line - - Norwegian Escape - - Bars and lounges.